The 7th Asia Logistics and Maritime Conference at the Hong Kong Convention and Exhibition Centre (23-24 November) will be the busiest event of its kind to be held in Hong Kong this year. Once again, 2017 will be the flagship event of Hong Kong Maritime Week, which runs from 19-26 November. 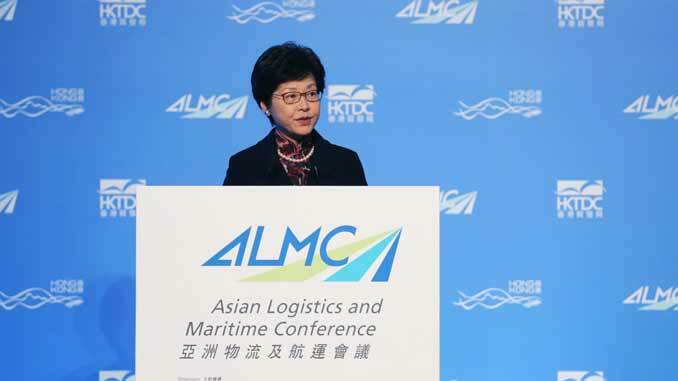 Over the years ALMC has become a world-class conference fully deserving of its place at the heart of Asia’s leading maritime and logistics hub; this year will be no exception. The chance to meet up with old friends and business connections while networking with new contacts is among the most important functions of this annual gathering. With around 2,000 visitors expected at this year’s ALMC, the opportunities are limitless. One of the central pillars of this year’s conference is China’s Belt and Road (BnR) Initiative, which covers more than 60 countries and regions from Asia to Europe, accounting for some 30 per cent of the global GDP and over 35 per cent of the world’s merchandise trade. 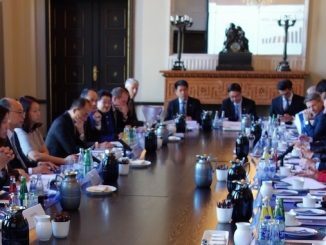 Over the past 12 months China’s BnR initiative has truly taken off, unleashing enormous business opportunities in infrastructure development that will benefit smart, forward-thinking businesses in shipping, logistics, ports, railways and highways as well as finance, insurance, telecommunications and energy sectors. It is estimated that BnR infrastructure projects in Asia alone will need investments of US$1.7trn a year through to 2030. It’s no surprise then that Belt and Road: Growth Engine Driving New Era for Global Trade is the subject of the first Plenary Session. The organisers of ALMC 2017 have recruited a panel of leading logistics and maritime players to explore how companies in those two vital industries can capitalise on the opportunities and cope with the challenges in a rapidly changing environment of regional development and market integration. All three major shipping sectors – liner, dry bulk, tankers and gas carriers – are closely examined on the first day of ALMC 2017. The shipping industry collectively fell into a slump at the end of 2008 it is only now that it appears to be on the road to recovery. But so far the recovery is a fragile one. In fact the tanker sector is still subject to weak freight rates and in the foreseeable future will be dependent on increased demand from Asia to counter the effects of US shale growth and slow European economic growth. Moderating the tanker session will be local shipping and broking veteran Tim Huxley. He will be joined by the world’s best-known industry seer, Dr Martin Stopford. Representing the money on this panel is Domenik Nizet, senior vice president, Shipping Finance Asia Pacific and Middle East, DVB Bank SE. 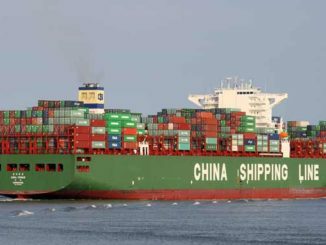 Liner Shipping Market: Light at the End of the Tunnel? The liner sector, more than any other, has confronted its over-capacity issues, either by force, as in the collapse of Hanjin Shipping, or voluntarily with mergers, stronger alliances and the deployment of mega vessels. But has it done enough and what will be the impact of the deployment of a large number of mega-vessels between now and 2019? A panel of some of the leading players representing all aspects of the industry will be on hand to offer delegates their unique insights into the complexities of the reformed liner sector. 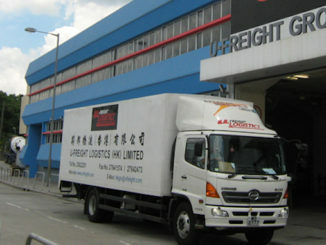 Hutchison Port Holdings Group managing director, Eric Ip will provide the port perspective. Alan Murphy, chief executive of SeaIntel Maritime Analysis will offer the observer’s take on the latest developments and the managing director of Tiger Ventures, Julian Proctor will contribute the financier’s concerns and expectations. Completing an impressive line up of expertise is Jeremy Nixon, chief executive of the newly formed Ocean Network Express. Of all the sectors, dry bulk has perhaps made the most spectacular recovery over the last year, particularly the minor bulks. However, there are already worrying signs that this highly fragmented sector could yet shoot itself in the foot as many shipowners are returning to the yards to order newbuildings. To help delegates gain an authentic insight into today’s market the session is led by leading BIMCO analyst Peter Sand. Panel speakers include head of research at Arrow Shipbroking Group, Burak Cetinok and chief operating officer of The Caravel Group, Angad Banga. With the assistance of Tissa Wickramasinghe, chief business development officer at Colombo International Container Terminals, and Daniel Testi, the marketing and corporate communications director of Contship Italia Group, Hong Kong’s leading port operator will discuss how ports can deploy technology deal with the impact of the mega vessels that are coming to dominate the liner sector. Forums on air cargo security and temperature-controlled cargo handling will complete the first day of ALMC 2017. In line with tradition day two of ALMC 2017 has a strong focus on logistics and e-commerce. Asia and specifically China has swiftly come to dominate the e-commerce market, with ASEAN following closely behind. This will ensure that the first Plenary Session of day two will be a full house. Much of Asia is still dominated by vast rural regions far from city shopping malls. While this presents obstacles the rewards are great enough to find ways to transcend the challenges. Supply-chain Management & Logistics Forums 3 and 4 will bring delegates up to date on developments in F&B e-commerce and cold chain logistics as well as the specialised but growing area of Halal logistics. Regional forums will reveal how to connect with North American markets and finally return to the abiding theme of the conference with a look at regional developments hosted by the BnR economies.